Football is a hugely popular sport which can be played by all ages and abilities. We have a great range of football facilities in our centres including astro, 3G and grass pitches which are all available for casual hire or block bookings. Also available are coaching sessions from Mini Kickers through to Walking Football. Racquet sports are a smashing way to keep active and ensure that you get at least 30 minutes of physical activity on most days of the week! You don’t even need your own equipment to join in the fun, as you can request loan items at the reception. With our quid-a-kid offer all aged 17 and under can play racquet sports for just £1, while accompanying adults pay just £2 each. This offer is available at weekends and during the school holidays. 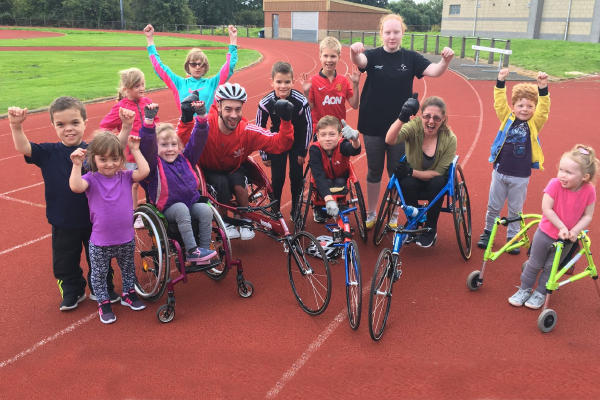 There are a number of opportunities for you to get involved in Athletics throughout Fife. The Trust, runs Run Jump Throw classes that introduces 5 – 12 years into athletics. These classes offer boy's and girls' the opportunity to participate in many disciplines including Hurdles, Shot Putt, Long Jump, Sprinting, High Jump and much more. These classes’ can be undertaken within our sports hall and athletics training centre in Dunfermline. There are also a number of local athletics and triathlon clubs that can be found using our venues. Pitreavie Athletics Centre, is our main venue for athletic training and hosting track and field competitions. It's Fife only indoor athletic training venue. That can also be booked for other events. For full details please visit site location page. Michael Woods Sports and Leisure Centre has a 6 lane track and jump pits. For full details please visit site location page. Martial arts are practiced for a wide variety of reasons including; self defence, competition, health and fitness and physical and spiritual development. At Fife Sports and Leisure Trust we have several classes available.